For our third exhibition of this year’s Art in the Garden series, the Portland Japanese Garden is thrilled to feature the Noh masks of Ohtsuki Kokun. The exhibition begins Saturday, October 14. 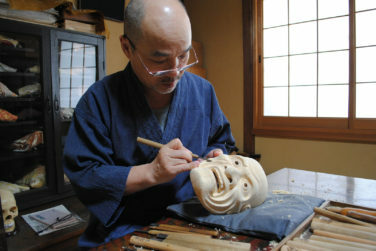 Mr. Ohtsuki has been carving otherworldly faces in wood since his childhood. Different than any other art form in Japan, a Noh mask is a kind of “window on the soul” that captivates its audience by becoming its own character on stage through the living presence of the actor and the imagination of the audience itself. Although inherently static in appearance, a Noh mask conveys a wide range of human emotions and feelings. For example, an actor can change the character’s expression from happiness to one of deep sorrow, just by tilting the mask slightly while on stage. The play of light, the angle of the mask, the actor’s skill and stage position, all contribute to portraying the character, as does the spirit imbued in a mask in the hands of a masterful carver like Ohtsuki Kokun. 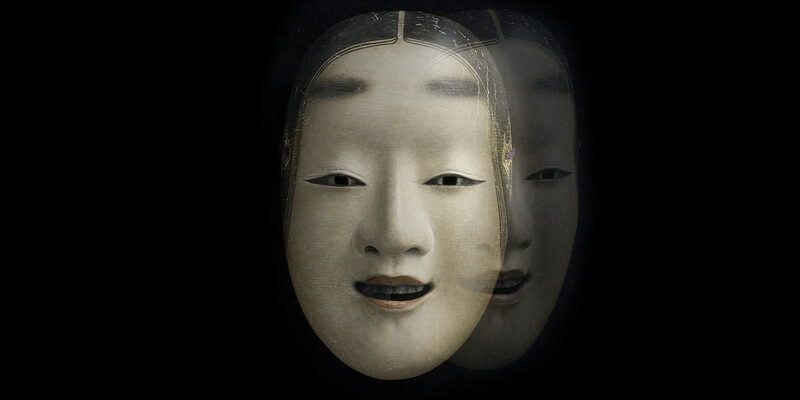 Noh masks have been an integral part of the Noh performing art tradition since the 14th century. Masks are worn by the shite and tsure actors, while the supporting actors, or waki, do not wear masks. There are approximately sixty types of Noh masks, and each Noh family uses its own style. Some masks as old as 400 years, are still being used in performances today and at one time, each Noh family had their own mask-maker. “I have become more and more fascinated by Noh masks as time passes. 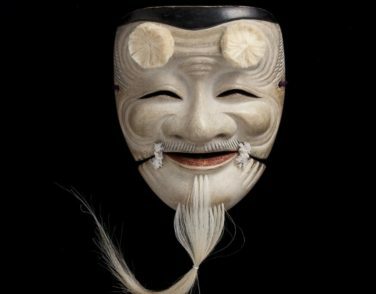 I realized noh-men, (the name given to Noh masks) and the simple and lean forms of modern sculpture had much in common. Noh-men are stripped of all garnishes and stand as a pure essence while still maintaining depth and spirituality,” Mr. Ohtsuki said. Ohtsuki Kokun is from Kurashiki City, Okayama Prefecture, and currently resides in Kyoto. After studying under Soshun Nagasawa, he formed ‘Kokun Noh-men Kai’ in 1989 and had his first solo exhibition in 1990 in Kyoto. He has made masks for many prominent Noh masters, including Hayashi Kiichiro, Umewaka Rokuro, and members of the Kanze family. 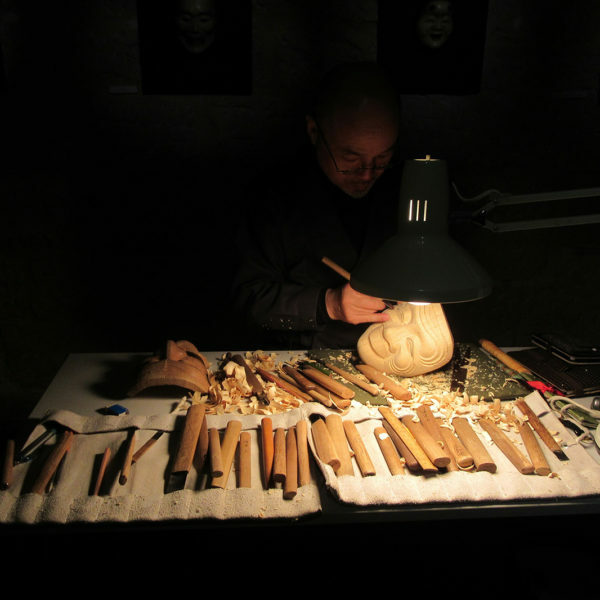 He also teaches mask carving in Kyoto and Sagamihara. Mr. Ohtsuki will be present during the opening weekend of the exhibition to demonstrate his fine craftsmanship. The Garden will also host a presentation by Noh actor Kawamura Haruhisa, who has been designated an Intangible Cultural Asset of the Kawamura Noh Gakudo School of Noh in Kyoto. Accompanying the masks in this exhibition is a selection of Noh costumes of beautifully woven silk brocades in patterns that relate to a season or a Noh theme. These gorgeous costumes were woven on the looms of Orinasu-kan, one of the most respected weaving houses in Kyoto’s Nishijin weaving district. Made exclusively for Noh performances for the samurai and upper classes, they are more subdued and refined than the exuberantly designed Kabuki costumes. 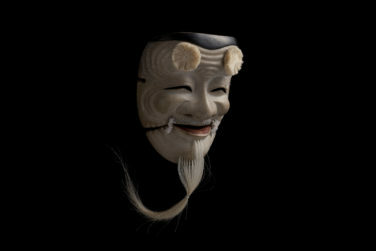 All Noh masks are courtesy of the artist, and all costumes are courtesy of Orinasu-kan of Kyoto. Mirrors of the Mind: The Noh Masks of Ohtsuki Kokun runs from Saturday, October 14-Sunday, December 3 at the Portland Japanese Garden. The masks echo eerily and the movements slow us down to a pace we lost centuries ago. 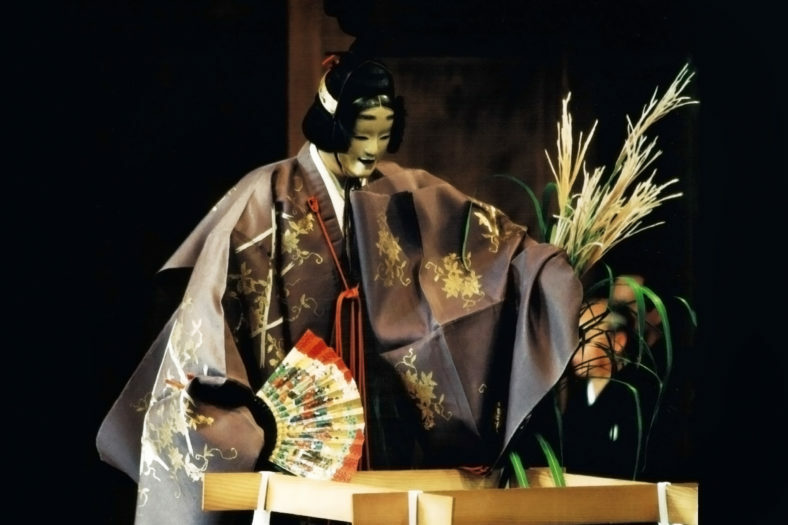 The stories of Noh provide deeper questions of life and death.